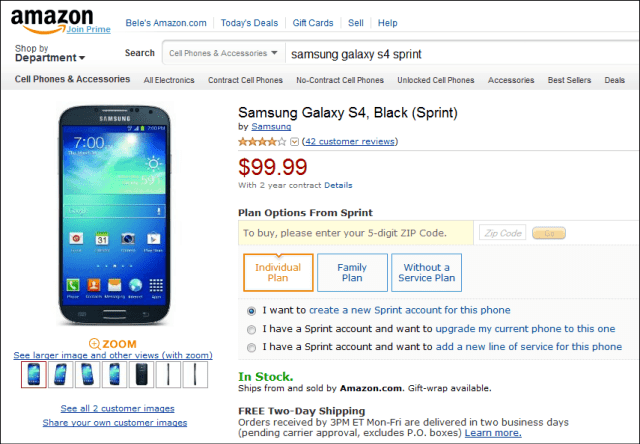 The Samsung Galaxy S4, one of the grooviest Android smartphones out there, is now available at a very low price on Amazon Wireless, provided you want to get the Sprint version of Samsung’s flagship device. This great device can be yours for just $99, provided you purchase it with a new Sprint contract, or you add a new line of service to your Sprint account. If you’re in any of the two situations, this is a good chance of buying a smartphone that’s still one of the most complete Android devices out there. 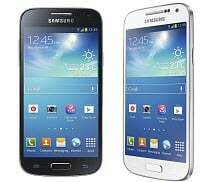 I also need to tell you that the Sprint Samsung Galaxy S4 is available in both white and black versions at the special price. Also, the activation is free and you also get free two-day shipping on the device. Just remember that the offer only stands until August 1st, according to Android Police, so you’d better act fast if you plan on taking advantage of it. In case you need a little reminder, the Sprint Samsung Galaxy S4 is powered by a 1.9 GHz quad-core CPU, coupled with 2 GB of RAM memory and it runs Android Jelly Bean 4.2.2, with Samsung’s own TouchWiz interface on top of it. The device has a 5 inch display, with Full HD resolution – 1920 x 1080 pixels and it has a 13 megapixel rear camera, as well as a 2 megapixel front shooter, good when you’re communicating with friends. Internal memory is 16 GB, but you can add a micro SD card to add up to 64 GB more memory to that. Like all Samsung Android devices, the Samsung Galaxy S4 also includes some interesting features that you won’t find anywhere else, like Smart Pause, which pauses a video when you’re not looking at the screen, or Smart Scroll, which allows you to scroll content without touching the screen. All in all, a device well worth owning, especially for this price.